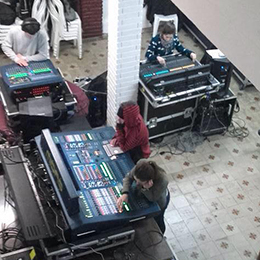 Argentina-based MIDAS and KLARK TEKNIK rental company, Perrone Sonido, has been conducting in-depth training with sound engineers to build on MIDAS’ presence in the country. The rental company, led by Carlos Maria Perrone, has just recently hosted a two month series of training seminars in the country’s capital of Buenos Aires. Perrone, also known locally as ‘The Dog’, is no newcomer to the MIDAS brand, having been a brand ambassador since first coming into contact with the VENICE 320, which he has utilized for countless live shows. 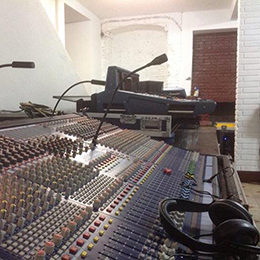 The revelation led to Perrone founding the Perrone Sonido rental company in an effort to bring more sound engineers to MIDAS desks. 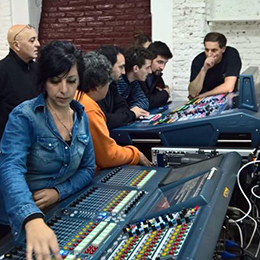 The latest training seminars have achieved just that with 20 sound engineers travelling to Buenos Aires from towns all over Argentina to take part in one of the 15 training dates.